TJ’s at it again dropping hammers at the berrics. Yeahhh TJ! 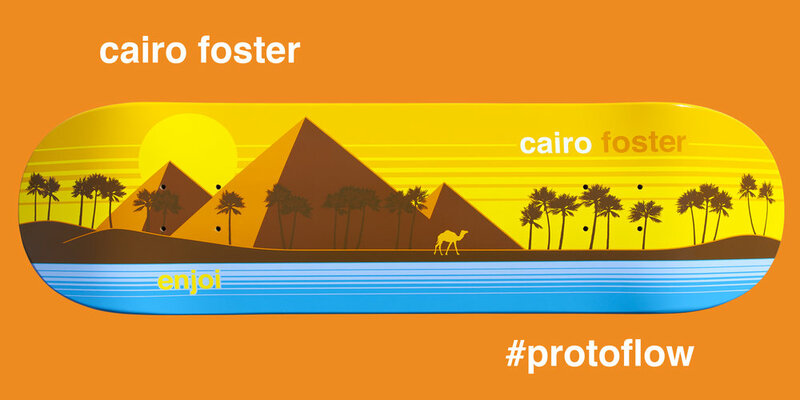 It’s with a tip of the hat that cairo foster retired from professional skateboarding. He could have milked it, he could have coasted but he wanted to walk away on his terms. One more reason cairo is a legend. enjoi has proudly sponsored Cairo for over a decade and he will be forever part of the enjoi family. Cairo, you are truly one of the greats!!! Thank you! Lucas was stacking clips this summer during his trip to California. Here's a part put together with clips shot by Andalé Cofounder/ Happy Hour Organizer / Beer Drinking Influencer/ Filmer/ All Around Good Guy; Joey Brezinski. Sit back, relax, and enjoy.... Surf's Up. Want to know what it’s like to get a box of Andale products? Check out Paul opening his latest box from Andale and skating his pro rated Andale Swiss bearings. Spring 2019 Delivery 1 is now shipping! We all know the classic Barcelona spots, but Jordan digs a lil deeper, as he uncovers some hidden gems in skateboarding paradise. New Shapes And Apparel From MADNESS Skateboards! Check out the disturbingly new shapes and apparel from MADNESS! Shipping now!